Boost your chances of being named "best gift giver EVER" with a ROUSH Supercharger. ROUSH Superchargers are available in multiple power levels for each model year. Exhausted by trying to find the perfect gift? Look no further! ROUSH Exhaust systems are entirely built from mandrel-bent stainless steel, and feature chrome-flashed tips. Hood scoops, spoilers, fender flares, and everything in between! 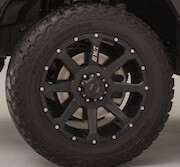 Body components are the perfect way to customize any Mustang or F-150. Roll into 2018 in style, with a set of new ROUSH wheels! 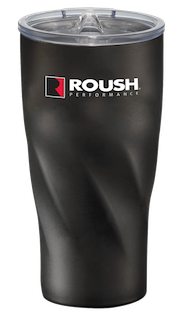 ROUSH Performance offers several styles and finishes to fit any Mustang or F-150. ROUSH Cold Air Intakes allow your Ford to breathe freely - without breaking the bank! Free-flowing air intake kits utilize factory PCM calibration, and are 50-state legal.